When you hear the words “hearts and arrows” what naturally comes to mind is cupid and his bow or being “love struck” by the romance diamonds often represent. What we never realized is that these words actually describe the perfect symmetry on the inside of the diamond. A hearts and arrow patterning (also referred to as h&a patterning or h&a diamonds). This does not describe a diamond cut in the shape of a heart and arrow. No, instead it’s all about the intricate features seen inside the diamond. If you look closely into the stone you can see a pattern of symmetrical hearts and symmetrical arrows in flawless alignment. If nothing else, this is the epitome of perfection when it comes to diamonds! 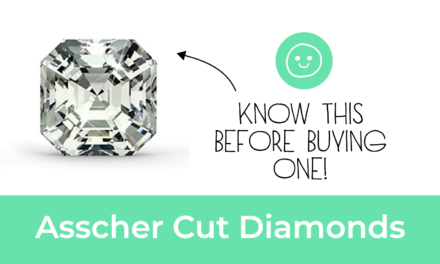 It’s a diamond with a superior cut grade and cut quality. Many people are strictly concerned about a diamond’s cut in maximizing its sparkle and brilliance. For those who want to look deeper, it’s all about super-ideal diamonds. And, a great place to start would be with Hearts and Arrow diamonds. Discussing the various grades, proportions and cut dimensions of a diamond is like talking about the tech specs of a vehicle. Most people couldn’t care less about the specifics; they focus on the end result. Just think about ninety-nine percent of drivers who are not at all concerned about the amount of torque their car has. They just want a car that can accelerate quickly when needed. The same holds true when it comes to diamonds. People are often not too concerned about how a 34.5° crown angle goes with a 56% table. All they want is a diamond engagement ring with a lot of sparkle, a superior cut quality and excellent light performance. Take for example, this stunning 1-carat diamond from Blue Nile’s Astor Collection. I can go on and on about how fantastic the 33.5° crown angle is, but all that matters is that it’s spectacular. Just by looking at a diamond you can notice whether it has a yellow tone, or if it has a large inclusion. It’s level of brilliance though? That’s not so easy to determine. Yes, of course you can tell right off whether it’s incredibly brilliant or if it’s as dead as a doormat. But, in between those extremes there’s a fairly wide range. 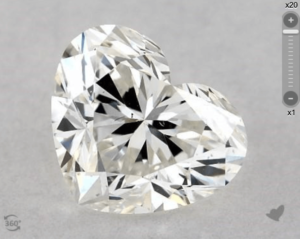 What exactly are Hearts and Arrow diamonds? Looking at the first two, you’ll see a repetitive starburst pattern that resembles arrows. 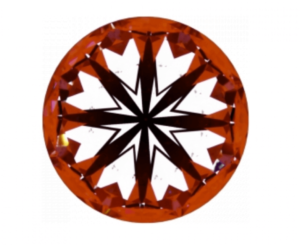 This is indicative of a well-cut round diamond. You’re seeing the crown’s reflection through the table. Looking at the third diamond’s video, there is no arrow pattern, which means the angle of its depth and crown are off. A strong correlation exists between the presence of a consistent pattern of hearts and arrows and a diamond’s brilliance. But, this is not definitive when it comes to determining the level of brilliance of a diamond. You can have a diamond that is beautifully cut with immense brilliance, yet the hearts and arrows are not all that perfect. In the end, it’s the specs that determine how brilliant the diamond will be from all angles and in all types of lighting. 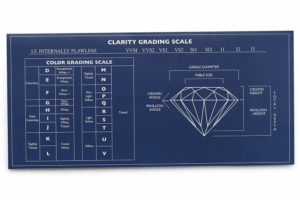 This simplistic way at viewing a diamond has given certain companies the idea of using it for branding purposes. Sadly, those brands cannot be relied upon because some diamonds are beautifully cut, while others not at all. At one end of the spectrum you have the highly respected Brian Gavin promoting Hearts on Fire. At the other end of the spectrum you have EGL’s Hearts and Arrows certificate. 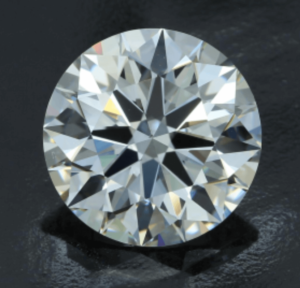 Nearly every jewelry company offers a unique selection of what they claim are “perfectly cut” diamonds, including James Allen and Blue Nile. The vast majority of these jewelry brands do not live up to the hype regarding the brilliance of their diamonds. With few exceptions, I don’t see that these brands offer diamonds that are more noticeably or consistently brilliant than a standard excellent cut. However, I do find Brian Gavin’s Signature and Black selections to be exceptional. I haven’t come across any diamonds in the past few years that made more of an impression on me than Brian Gavin’s. In my opinion, if your focus is on cut, Brian Gavin is where you’ll get the most for your money. 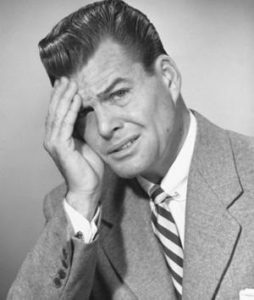 What I really want to stress is that the presence of hearts and arrows is not the cause of a diamond’s brilliance. They are the byproduct of a round cut diamond with perfect proportions. 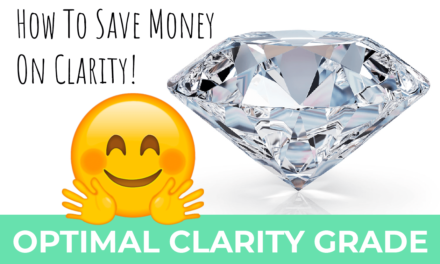 Diamond cutters cut diamonds to very specific dimensions to maximize their brilliance. Those very characteristics are what cause hearts and arrows to appear in classic round cut diamonds. 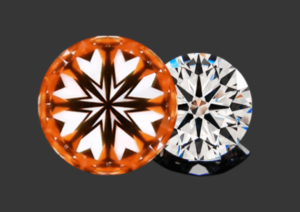 It’s very unfortunate, but a lot of companies create modified diamond cuts as a gimmick. They alter the faceting to create the hearts and arrows effect. However, we know for sure that the mere presence of hearts and arrows does not create brilliance in a diamond. Instead, it’s the fact that the diamond is cut perfectly that creates the hearts and arrows. For certain branded cuts, the presence of hearts and arrows is not necessarily indicative of a brilliant diamond. The primary purpose of the companies I’m speaking about is not to offer well-cut or more brilliant diamonds to their customers. Rather, it is to create a gimmick that provides them with a catchy marketing tool. They then patent the cut so you’re discouraged from going elsewhere, which allows them to maintain their high prices. Thanks for reading my blog post! Feel free to check out my other resources, as well! 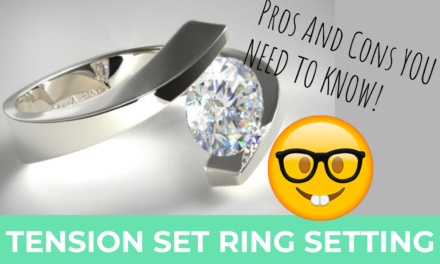 PreviousPlatinum vs. White Gold – Which One The Better Metal For A Ring?